Battleship puzzles are a single player version of the game many of us used to enjoy as children. Using pure logic and requiring no math to solve, these addictive puzzles offer endless fun and intellectual entertainment to puzzle fans of all skills and ages. Although it’s hard to ascertain the exact date when Battleships appeared as a two-player game, it seems many of us feel a twinge of nostalgia whenever we see or hear about those good old grids containing Battleships, Cruisers, Destroyers and Submarines. Battleship puzzles are a modern solitaire version of this fascinating game many of us enjoyed as children. In this single-player game your challenge is to discover the fleet using only logic and wits. According to the article Battleship (game) at Wikipedia, the first evolutional step of Battleships as a two-player pencil-and-paper game appeared sometime at the beginning of the 20th century and has been the most commonly played form of the game throughout the world since then. In 1931 a new form of Battleships appeared on the market as Milton Bradley published the first commercial Battleships game – a guessing board game implementation played by two people. The original Battleship puzzle as published in Humor & Juegos' February 1982 issue, credited to J. Varli. The November 1982 version with dots and water graphics instead of numbered counts, but the puzzle is just like today's puzzle. The Battleship puzzle, a single-player logic puzzle implementation of the Battleships concept, was invented in Argentina in 1982 under the name Batalla Naval (English: Navy Battle), with the first puzzles appearing in the November 1982 issue of the Spanish puzzle magazine Humor & Juegos. There is no clear evidence that this form of the game evolved from the pre-WW1 pencil-and-paper form, Milton Bradley’s board game, or perhaps as a separate evolutional branch. Authorship is usually credited to the prolific puzzler Jaime Poniachik who founded Humor & Juegos as an editor in 1980. According to Poniachik, the Battleship puzzle was born through team effort with Eduardo Abel Gimenez, Jorge Varlotta, and Daniel Samoilovich. In a September 2005 email interview conducted by Moshe Rubin, former contributing editor of the Battleships column in Games and Games World of Puzzles Magazines, Poniachik says he was working at the time with his three colleagues producing puzzles for the Humor & Juegos magazine. Two years later, in October 1982, Humor & Juegos moved to Juegos & Co., a new small publishing company owned by Poniachik and Samoilovich. According to Poniachik, the first version of a solitaire Battleship puzzles was included in issue 19 of Humor & Juegos published in February 1982 and signed by J. Varli (the late Jorge Varlotta, a known writer from Uruguay who signed his novels and stories by the name of Mario Levrero). This first puzzle, which appeared one more time in issue 21 in April 1982 may now be seen as a Battleship puzzle variant with numbers given inside the board. Some more Battleship puzzles, very similar to the Classic Battleship puzzles we know today, appeared with no author credit in November 1982 in issue 26 of Humor & Juegos. The only difference is that zero counts on rows and columns were given with a sign of water and some small black squares instead of the other numbers. Apparently no other Battleship puzzles were published anywhere in the world for the next five years. March 1987 saw the rebirth of the puzzle, looking exactly as Classic Battleship puzzles look today, in Juegos Para Gente De Mente, a new name given to the old Humor & Juegos magazine. Since June 1987 and up to the present day Juegos & Co. includes Battleship puzzles in their monthly logic puzzle magazine Enigmas Lógicos. Battleship puzzles made their international debut in the first World Puzzle Championship which took place in New York in 1992. Becoming an immediate and obvious success, these puzzles have appeared in every subsequent World Puzzle Championship ever since. In 1993 Games Magazine introduced Classic Battleship puzzles to their readers, with Peter Gordon and Mike Shenk hosting a Battleships column. Since then, Battleship puzzles have been included in almost all issues of Games and Games World of Puzzles. The Battleship puzzle concept allows an astonishing number of variants, and the proliferation of both classic Battleships and its variants testifies to the richness and flexibility of this puzzle genre. The 1993 Second World Puzzle Championship was the first to introduce a Battleship puzzle variant where several row and column counts were missing (see picture). Since the appearance of this early variant, dozens of other Battleship variants emerged using different grid sizes, fleet sizes and alternative rules (see side textbox). Mountain Vista Software's site offers fascinating analysis reviews of two Missing Counts puzzles from Games Magazine's Brain Twisters from the World Puzzle Championships, Vol 2, pg.38-39: Solution to Battleships 3 Board with Incomplete Tallies (by Shmuel Siegel), and Solution to Battleships 4 Board with Incomplete Tallies (by Moshe Rubin). In 1994 Peter Ritmeester of VNU/Puzzelsport (Netherlands) conceived and edited Zeeslagje, a monthly magazine dedicated to the Battleships genre which carried a limited but groundbreaking set of Battleships variants for its time. VNU/Puzzelsport included Battleship puzzles in Brein Brekker, another of their logic puzzle publications. In 1995 Games Magazine published a single Tetris Battleships problem created by Jaime Poniachik, and one year later a Minesweeper Battleships problem. In 1998 Peter Gordon and Mike Shenk, now at Sterling Publishing, launched the first book of Battleship puzzles titled Solitaire Battleships: 108 Challenging Logic Puzzles. 1998 is also the year in which Mountain Vista Software released Fathom It!, a shareware adaptation of solitaire Battleship puzzles. In September 1999, Games Magazine ran an excellent exposition of solving Hexagonal Battleships puzzles contributed by Gavin Stark. At the same time Moshe Rubin became contributing editor of the Battleships column in Games and Games World of Puzzles Magazines, and Sekaibunka Publishing, a major Japanese puzzle publisher, released the first book dedicated to Battleship puzzles in Japan. In 2000 Erich Friedman submitted a groundbreaking collection of twelve original Battleship variants for the 9th World Puzzle Championship, while Sterling Publishing released Mensa Math & Logic Puzzles created by Dave Tuller and Michael Rios, presenting sets of some ten different Battleship variants. In August 2006 Conceptis officially announced the release of Battleship puzzles through its affiliation with Mountain Vista Software. Since then, Conceptis is the sole supplier or Mountain Vista's Battleship puzzles to magazine, book and calendar publishers, daily newspapers and mobile phone game providers worldwide. In September 2006 Sterling Publishing released a new book dedicated to Conceptis Battleship puzzles. Titled Yubotu: Sink the Fleet in These Addictive Battleship Puzzles, Sterling’s new book contains 180 Classic Battleship puzzles from Conceptis in six difficulty levels. In October 2006 Bauer Russia (Logos Media) released a medium format monthly magazine containing 70 Conceptis Battleship puzzles of different sizes and difficulty levels. In November 2006 Rätsel Agentur (Germany, Switzerland and Austria) released a small format monthly magazine containing 54 Conceptis Battleship puzzles of different sizes and difficulty levels. 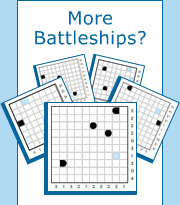 Battleship puzzles and variants are increasingly published in the printed media, on the Internet, and in international competitions. Known today by many different names such as Solitaire Battleships, Yubotu, Batoru, Batalla Naval, Schiffe Versenken, Schiffchen versenken and others, Battleship puzzles appear in numerous prestigious magazines and books all over the world. Some examples are Sterling Publishing (USA), Games Magazine and Games World of Puzzles (USA), Puzzler Media (United Kingdom), Rätsel Agentur (Germany, Switzerland and Austria), Bauer Russia (Russia), Puzzelsport (Holland), Sekaibunka (Japan), Egmont (Norway and Sweden), Nonzero (Italy) and Nikui Rosh (Israel). Battleship puzzles are also featured in every major puzzle competition in the world, including PQRST Puzzle Championship , the Google U.S. Puzzle Championship , the Russian Diogen puzzle site , and many others.